Burdette & Rice is a well-respected Dallas law firm with a strong focus on guardianship and contested guardianship under Texas law. Firm attorneys Mark Caldwell, Sarah Toraason, and David Mead have been selected to author a paper on contested guardianship. Many practicing attorneys often do not continue their intellectual and academic efforts. Burdette & Rice, considered one of the top Texas law firms for probate, estate, and trust litigation, is proud to announce that firm attorneys Mark Caldwell, Sarah Toraason, and David Mead have been selected to author a paper on constitutional issues in contested guardianships for the Texas Tech School of Law Estate Planning and Community Property Law Journal. The firm has a strong commitment to continuing education in all formats - live presentations, online blog posts, and publication in prestigious journals. “Many practicing attorneys often do not continue their intellectual and academic efforts," explained Brian Thomas, co-Director of Probate Litigation at Burdette & Rice. He continued, "We are so fortunate to have not one but three attorneys who are committed to giving back to the legal community in print form by sharing their insights and perspectives on the topic of contested guardianship under Texas law." While the article is yet to be published, interested persons including bloggers and journalists looking for experts in Texas guardianship law can visit the firm's website information page on contested guardianship at http://www.dallasprobateattorneys.com/guardianshipdisputes/. There, they can also click up to the 'Team' button to learn more about each individual attorney or to the 'Contact' button to send correspondence to the law firm. Persons who live in Dallas and/or may be facing a guardianship dispute in Texas are urged to reach out for an attorney consultation. No two situations are alike and the best step is a confidential consultation with one of the firm's attorneys with knowledge of guardianship and/or contested guardianship issues. 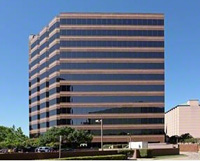 Burdette & Rice is all but unique among law firms in the Dallas, Texas, area for its commitment to continuing education. Not only do the firm's attorneys continually attend webinars, seminars, and classes to keep up with the latest legal trends and issues in Texas, but also the firm sends its attorneys out as speakers and writers to share with the lay public as well as the professional legal community on a variety of topics. As Texas society ages and as the State grows larger and more prosperous, more and more Texans are facing complex estate, trust, and probate issues. Most of the time those issues can be pre-resolved with good planning and cooperation among interested parties. On other occasions, however, disputes emerge and must be litigated or subject to some type of arbitration. This latest effort in print form will share the firm's expertise on contested guardianship for a professional attorney audience throughout Texas. To learn more about the firm's philosophy, visit http://www.dallasprobateattorneys.com/our-philosophy/. Burdette & Rice, PLLC is a top Dallas probate law firm at http://www.dallasprobateattorneys.com/, with lawyers dedicated to listening to their clients, being fully present to them, and advocating their clients’ positions in the simplest and most persuasive way possible. The law firm employs some of the top probate and estate lawyers in Dallas, Texas. Clients come to Burdette & Rice to contest a will in Texas, work on complex inheritance litigation and disputes, and to litigate disputes over powers of attorney, guardianship and trustee issues all based on Texas law.